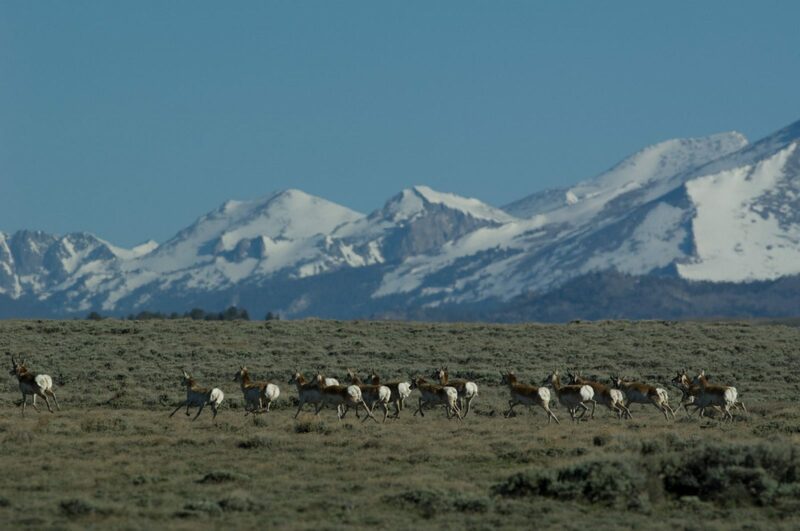 Today, the Wyoming Migration Initiative has demonstrated the vital connection between healthy big game populations and protected wilderness with the release of a new short film chock-full of amazing video footage. Don’t miss it, and be sure to share it with your friends. Wyoming Big Game Migrations and 50 Years of Wilderness combines extraordinary imagery of big game migrations and interactive mapping to demonstrate how these species and herds move between winter and summer ranges—and why their summer foraging in wilderness areas is vital for their long-term sustainability. In Wyoming, wild places and wildlife go hand in hand—many of our species need undisturbed habitats and connected ecosystems. Our big game herds, for example, rely on migratory corridors between high mountain meadows and sagebrush basins. What we do not always realize is that many of these herds also need designated wilderness. Throughout western Wyoming, elk, bighorn sheep, mule deer, and even pronghorn herds spend their summers feasting in landscapes that are protected under the Wilderness Act of 1964. Wilderness is necessary for the viability of these herds—a haven of sorts after they have negotiated challenges in their winter ranges and, often, in their migration corridors. At the Wyoming Outdoor Council, we know this is especially true given the complexity of land management and puzzle-piece protections in low-elevation sagebrush country. A holistic look at landscape-level planning on public lands would not only benefit the herds but would also help protect our Wyoming values. These migratory species are a striking reminder of the big picture of ecosystem connectivity. This big picture should inform all of the work we do as we strive to tackle the most challenging issues that cross management jurisdictions, encompass different land-use planning processes, and include multiple communities and diverse stakeholders. WOC’s legislative interns take the capitol!